Hi folks! Brent here. 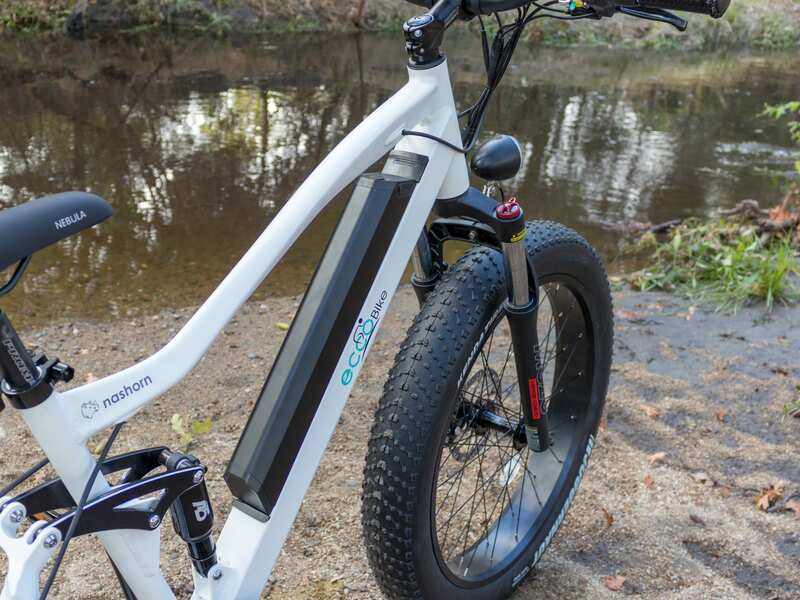 Today I’m reviewing the EccoBike Nashorn, a full-suspension fat tire electric bike that looks like it’s aimed at tackling some pretty serious trails. 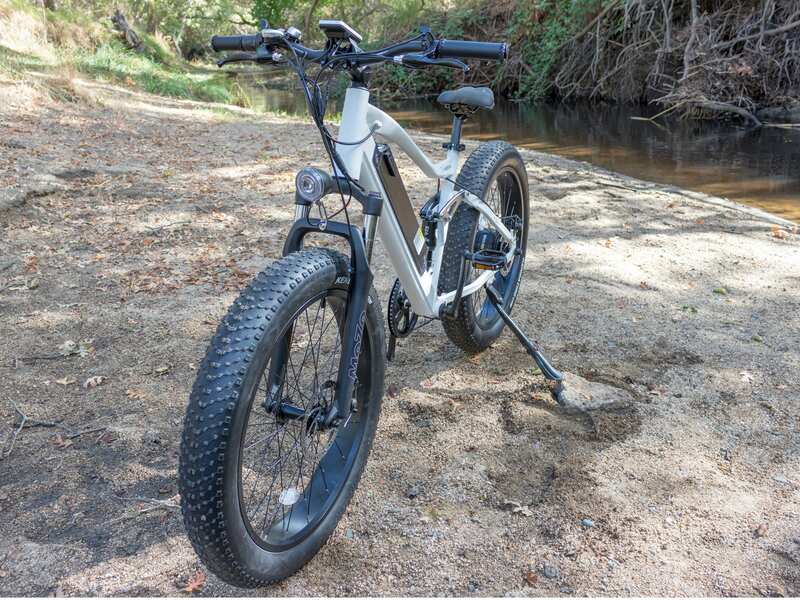 This electric bike retails for $1,649 and comes with a very powerful 750 watt geared hub motor in the rear wheel, a top speed of 25 mph, 624 watt hours of juice, 180mm mechanical disc brakes and of course, a full suspension setup. 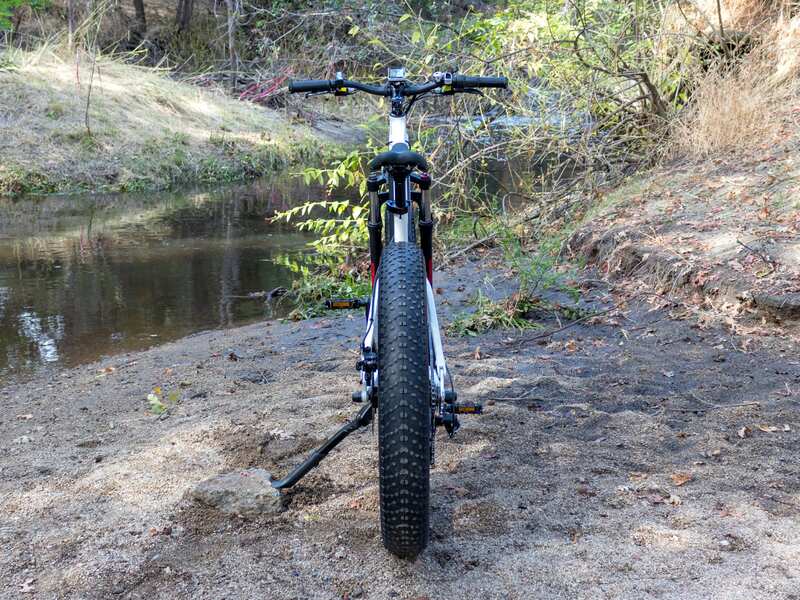 With the front and rear suspension working in tandem and the massive air volume of the 4 inch fat tires, the ride here is pretty plush on everything except for the most extreme trails. Despite all this, the Nashorn is relatively light at 66.5 pounds. While this full-size frame will likely fit most riders well enough, the Nashorn does only come in one frame size, 19 inches, and two different colors, matte black and matte white. 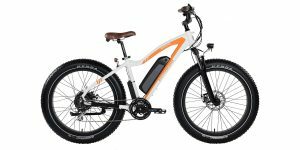 Eccobikes is a fairly new electric bike company founded in February 2018 in Canada. 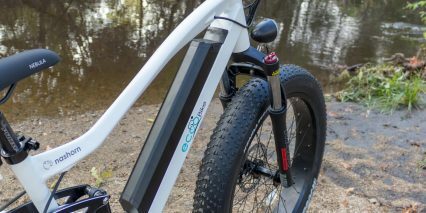 Their aim is to encourage people to use electric bikes for more than just recreation, but for actually commuting, with the goal of ultimately reducing the overall carbon footprint. Customer service is a priority for these folks and they try their best to “go the extra mile for all of our customers.” I have found this to ring true in my experiences with them. I think the fact they offer a 1 year comprehensive warranty and the relatively low price of $49 for shipping to the U.S and Canada is another display of this. 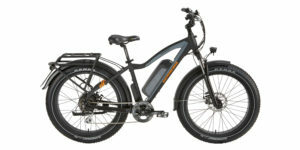 However, Eccobikes is almost exclusively direct-order only, with the only way to test ride one of their bikes being to visit them in BC Lower Mainland. Being a direct-order only company comes with one huge advantage — price savings — and a handful of potential disadvantages. First, it should be noted that at $1,649, the Nashorn is likely quite a bit less than if it were being sold in a brick-and-mortar shop. One potential con of direct-order only is that, like mentioned briefly above, there’s really no way to test out if a particular frame is going to fit me, and since there is only one frame size, I might be taking a gamble if I feel like the dimensions are close. Direct-order only also leaves the possibility for improper fit and finish of components and it also means I have to assemble the bike myself. 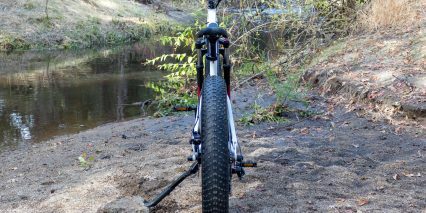 Thankfully, assembly was a cakewalk and I only had put on the handlebars, front wheel and pedals to get going. As far as fit and finish goes, everything was spot on all around. Also, this is one of the very few electric bikes I’ve assembled where the brakes were perfectly true with no rub right out of the box. Yes! Another potential issue with direct-order only is a communication barrier. 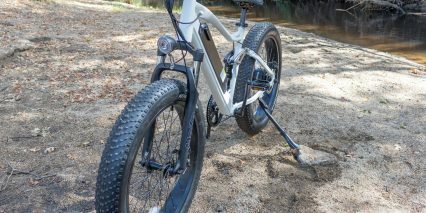 Thankfully, this was not an issue with Eccobike either! 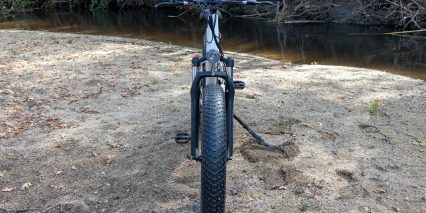 Driving this bike to a top speed of roughly 25 mph is a Bafang 750 watt geared hub motor in the rear wheel. This motor has 80 Newton meters of torque is very powerful. 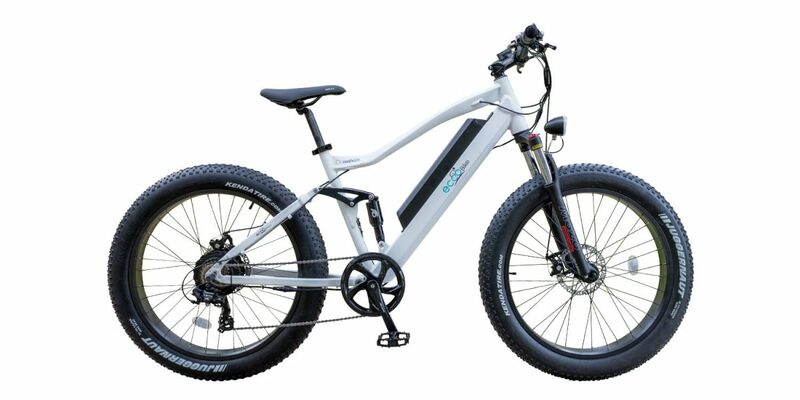 However, because of the top speed of 25 mph and the throttle, the Nashorn is a Class 3 electric bike, which won’t be legal to ride in many areas. 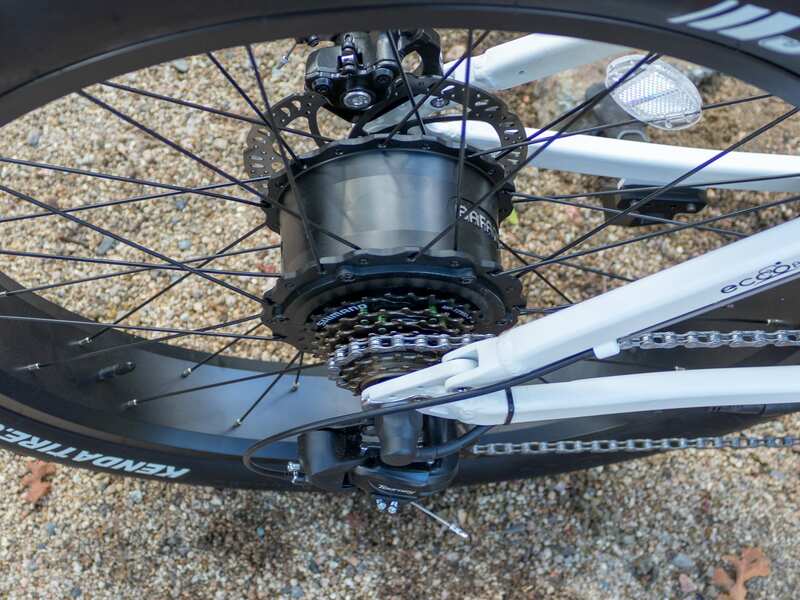 As with most fat tire electric bikes, the 750 watt motor here doesn’t feel quite as oomphy as it does on electric bikes with normal sized tires. 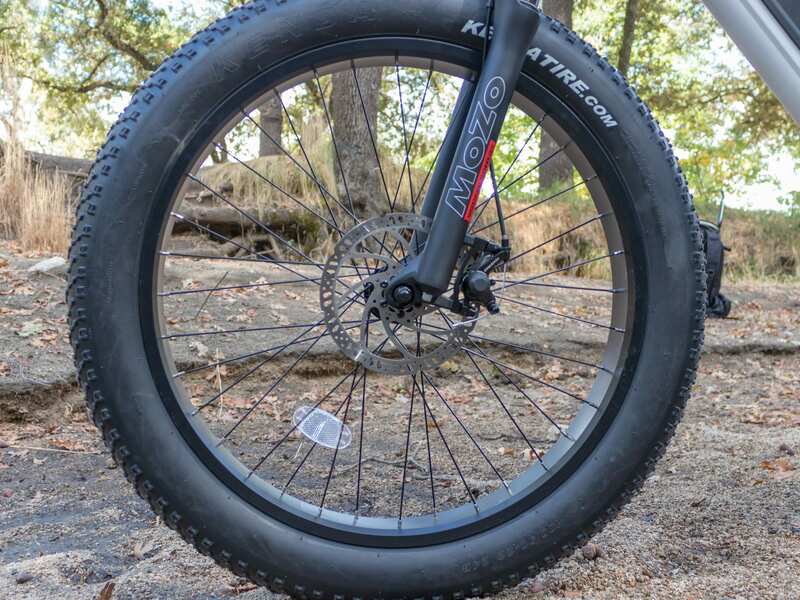 The 26 inch by 4 inch fat tires add quite a bit of height, making them more like 28 inch tires. 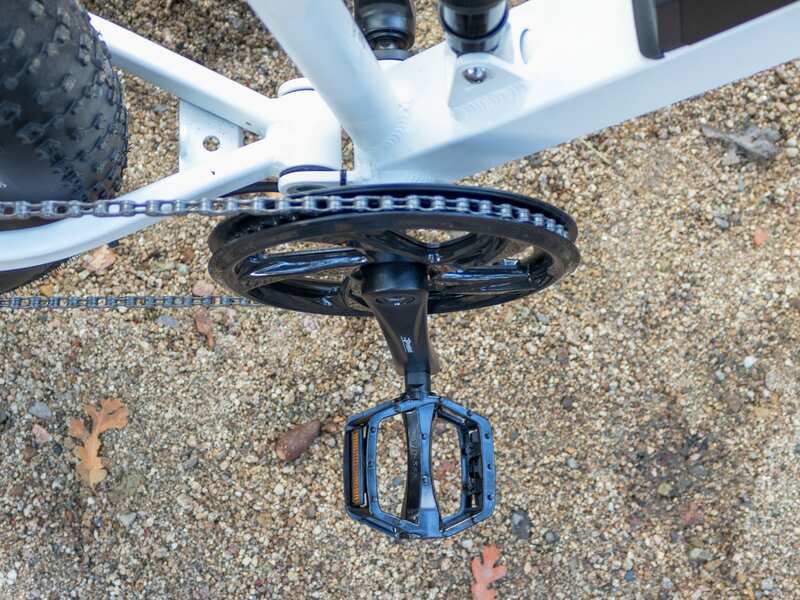 This reduces the mechanical advantage on the hub motor, and the extra wide tire patch is great for floating over soggy terrain but also creates a lot more rolling resistance, making the motor work even harder just to get me going. Still, 750 watt is VERY powerful and even with tires it can get going quickly, so please be careful with this bike! 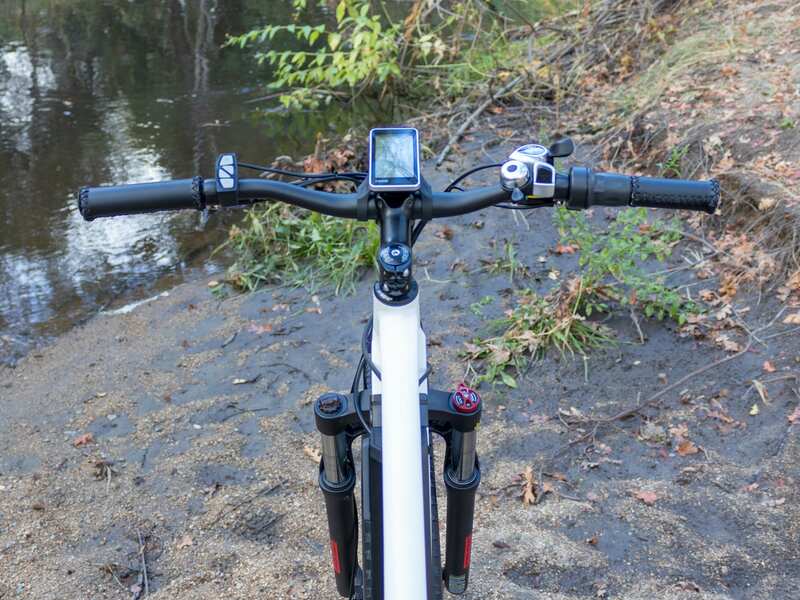 The Nashorn has a sealed internal cadence sensor with 12 magnets, and while it’s more responsive than cadence sensors with fewer magnets, there’s still a delay from the time I start and stop pedaling to the time the motor activates and cuts off. This is true of almost all cadence sensors, and is especially pronounced when getting started from a dead stop in a high gear. Thankfully, the throttle here is live from 0 mph so I can override the cadence sensor by just giving the throttle a twist. Then, when I get up to speed I can continue use the cadence sensor. For manually cutting power to the motor, I can use the motor inhibitors, which are activated whenever I slightly depress the brake levers. 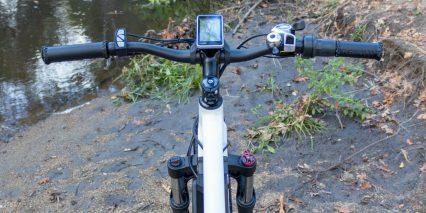 This is particularly useful for when I’m trying to navigate tricky terrain at low speeds — I may not want the motor to activate! 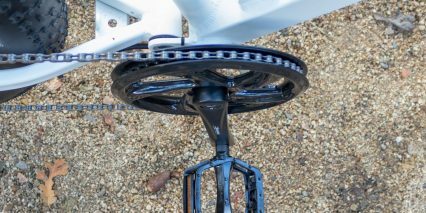 The brakes on the Nashorn are mechanical disc brakes with 180mm rotors in the front and rear. 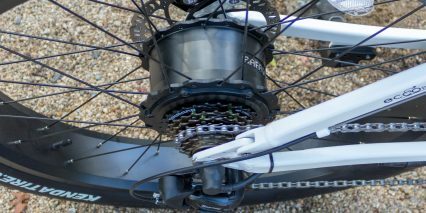 The stopping power is ample, but not as strong as hydraulic disc brakes. 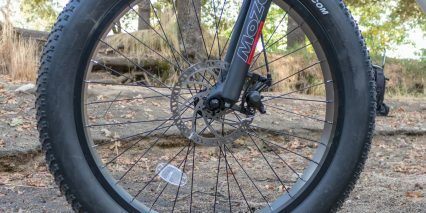 Still, I never felt like I had a lack of stopping power. Because these are mechanical brakes, I can’t adjust the brake lever to better fit my hand size; this might be an issue for some riders with extra small or extra large hands. 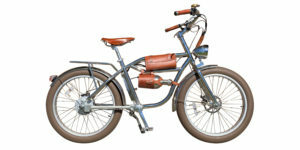 Powering the Nashorn, the integrated Blaze-Lite front headlight and the LCD display unit was 48 volt, 624 watt hour locking removable downtube mounted Lithium-ion battery pack. 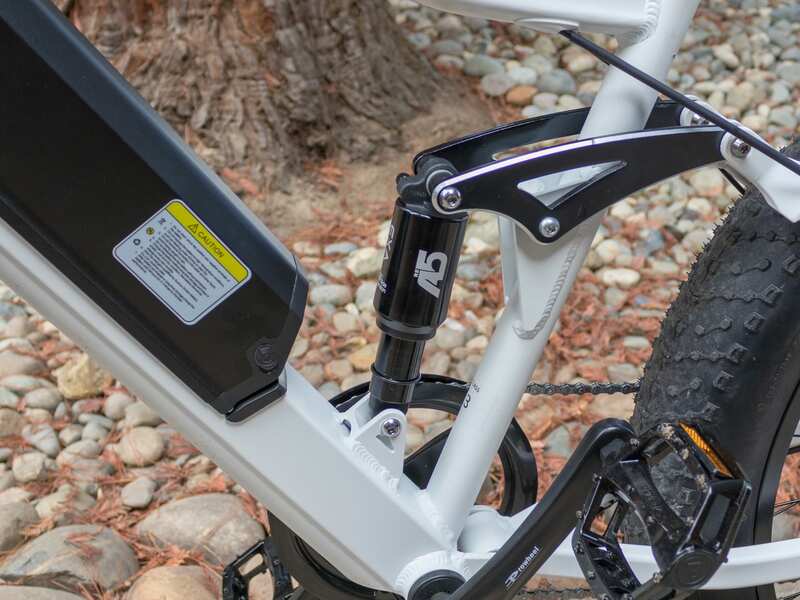 The keyhole is located near the top of the battery, keeping the key well out of the way of the cranks, but the charging port is located on the bottom of the battery and can easily get snagged by the cranks when charging the battery on the frame. 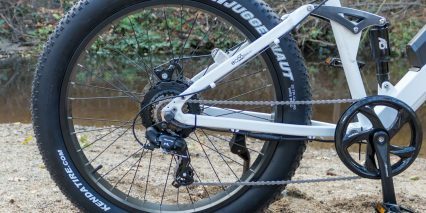 In fact, I had to charge this bike up before testing it and I almost pulled the cable out by accidentally moving the cranks. This can damage the charging cable, or even the battery. This battery does have a power indicator on the top for a quick way to tell how much juice is left, especially when it’s off the bike. It also has a full size USB Type-A port so I can power accessories while riding or use the battery as a portable power bank. Something I greatly appreciate. 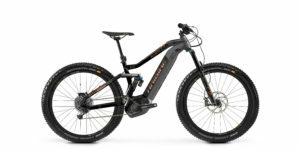 The 624 watt hours of juice will allow me to ride anywhere from 15 to 30 miles, maybe more, depending on how I ride, how much extra weight I’m carrying, what kind of terrain I’m tackling and the tire pressure. Remember, these tires can be deflated all the way down to 5 PSI for maximum traction and for the biggest possible tire patch, but that will greatly reduce efficiency and range. A long press of the power button turns on the display and after a quick boot up the Nashorn is ready to ride. 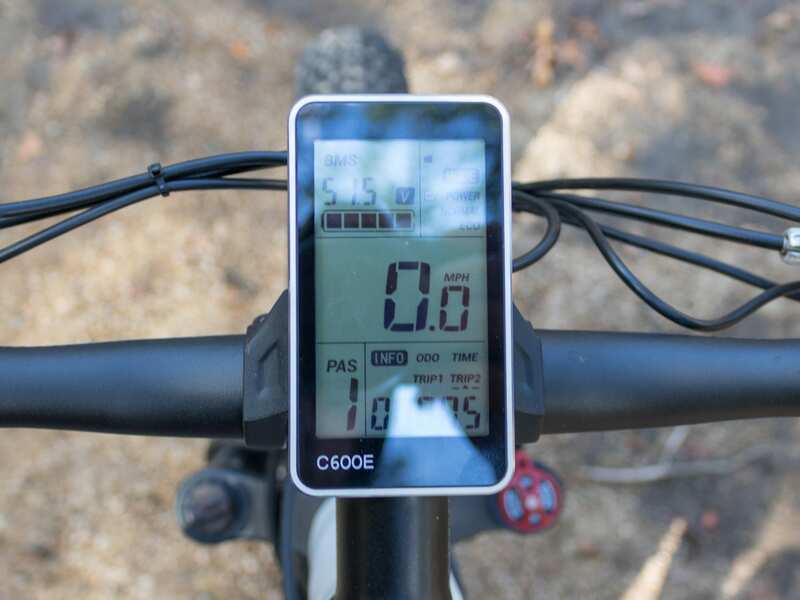 The display always reverts to pedal assist level 1, lights off, whenever it is turned on, regardless of the settings I had when I turned it off. I would prefer the display has a memory, but really not a big deal and maybe that’s just a personal preference thing. As mentioned earlier, the throttle is live from 0 mph and as soon as the bike boots up. 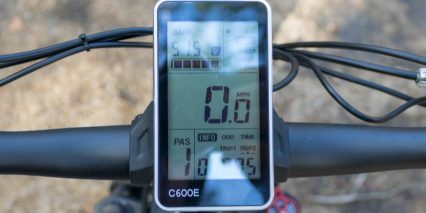 I LOVE this not just because it helps me get going from a dead standstill and override the delay with the cadence sensor, but moreover, I use it for assisting the bike up stairs. The other side of this coin though is that an accidental activation of the throttle could result in the bike flying away from me… which has definitely happened. The display isn’t adjustable so I can change the angel to avoid glare, and I can’t remove it without tools, so it might get scratched up if I leave it at a public bike rack. Overall though I do like this display and I like that it provides all the pertinent information I want to see. Navigating through the display is pretty simple with the independent button pad. 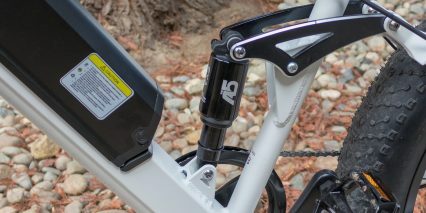 The + and – keys change pedal assist levels, tap the power button to toggle the lights and hold the – key to enter walk mode. There are a few settings that can be adjusted by holding the SET key, but it’s not a lot. The independent button pad itself has nice, tacky buttons that are easy to press and provide tactile feedback with an audible click to let me know I actually depressed the key I wanted to. This is great as it saves me from having to take my eyes off the road and look down at the display to see what happened. 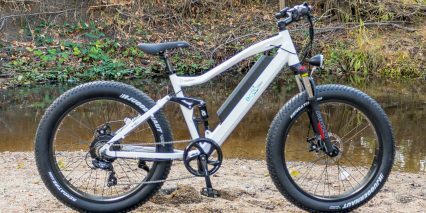 Overall, the Nashorn is a good performing off-road fat tire electric bike, and one of the few that I’ve seen with full suspension. It has more than enough power, enough in fact to not only get in trouble legally, but also pose a safety hazard. Please be careful with this bike as it can get up to speed quickly! I like how soft the ride is here not just because of the dual suspension but also because of the fat tires, it really smooths out the road. I also like that the Nashorn has most of the wires routed internally, has a removable battery that can double as a portable power bank and rear-mounted kick stand that stays clear of the cranks. However, because of the Nashorn only comes in one frame size and color, some folks may not be able to comfortably ride this frame, and some may be excluded from riding it altogether, not to mention that some riders might want a color besides black or white. 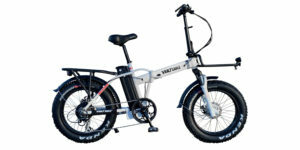 Despite these limitations, Eccobike seems to have done all they can to go the extra mile for customers, including quickly answering the phone and responding to emails, providing a 1-year comprehensive warranty and low cost for shipping. 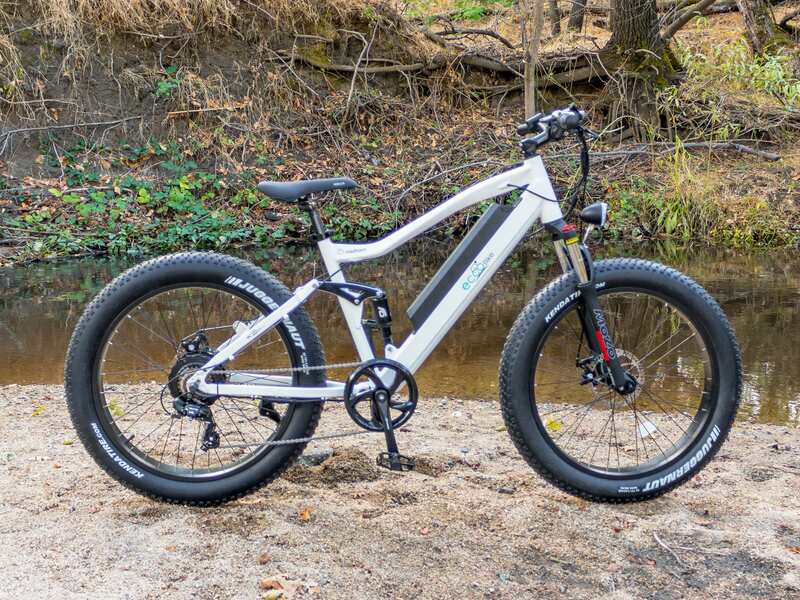 This feels like a great electric bike for anyone who wants to tackle some pretty serious trails, and especially trails with lots of loose dirt, mud, sand or snow as those fat tires will easily float through just about anything. 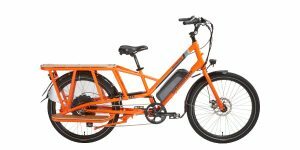 I want to thank Eccobike for partnering with me on this review and if you have any questions or comments please feel free to leave them here or on the YouTube video comments section and Court and I will do our best to respond as quickly as possible. Thanks so much and have a great day! In your headline, and Intro you say $1649. In the body of your write up you say $2299. Their website shows $2299. Hi Mike, I think the price is different depending on geography and they contacted me directly to express that the price is $1,649 with $50 shipping. Sorry for the confusion… We are doing our best to be accurate with the details but I was not directly involved with this review. 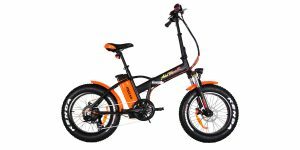 Hi Mike, please refer to our US website , at http://www.eccobike.net , Thanks! I wonder about the longevity of this Bafang 750watt hub motor. Can you conclude they hold up for a year or two? 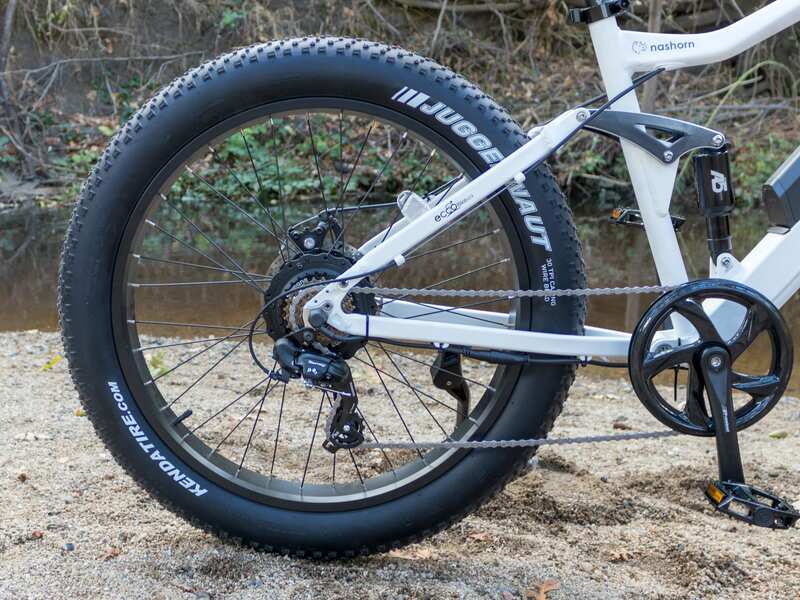 This fat bike fulfills some of my street commuting needs, but I still wonder if it’s worth it to save up for a much more expensive full suspension Haibike (which I absolutely like alot). I’m handy and don’t mind assembly. But I don’t want to blow 2000 dollars I could have applied to an all-mountain haibike. 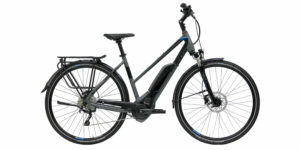 (And with Kioxx, I really want to wait now and I have to see the new haibike TQ-flyon motor just in case – maybe I should try to buy a cheap bike like this and another later on. 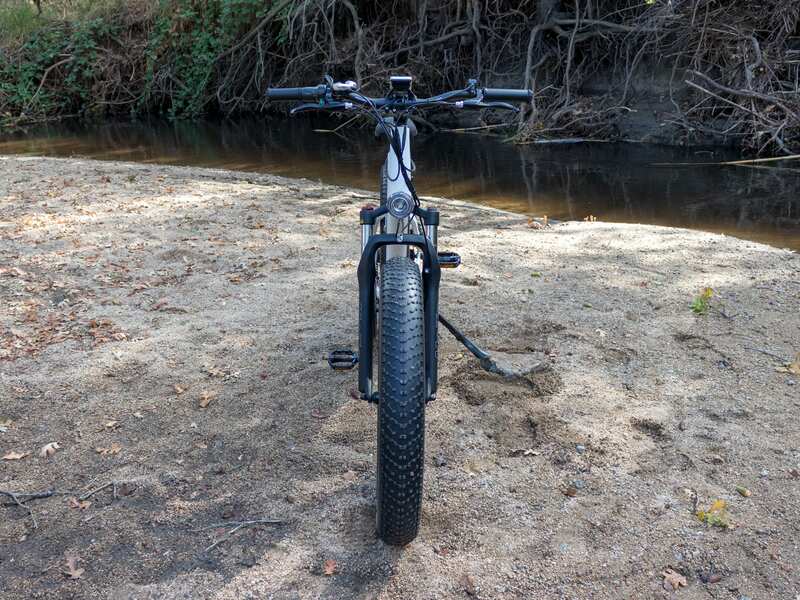 Decisions, decisions…LOL) This is exactly the decision quandary – the paradoxical horse starving to death between two equally attractive bales of hay – that actually riding a bike you’re considering is a must in the decision process. 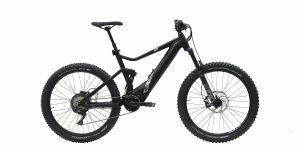 Their website shows $2299.00 for the Black painted version, and $1949.00 for the bike painted White 15% discount from list. There is also a special discount which I believe is $100 when you subscribe to their web site. 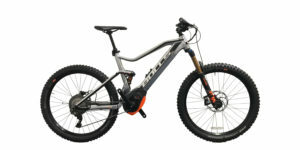 Hello BikerJohn, yes, those are our CAD prices in Canada, please go to our US website http://www.eccobike.net for USD prices. Thanks!